. . . Lots 6, 7, 8, 9, 12, 13, 14, 15, and 16, and containing a total of 2.2 acres was annexed to the City in 1970 and was zoned R4B in anticipation of redevelopment of the site for senior high-rise housing. The project never materialized due to funding problems. Single-family homes exist on approximately half of the sites in this R4B district, while the rest remain vacant. The vacant lots are 6, 7and 9. The lots are currently wooded, but an early photo shows someone gardening on the land. 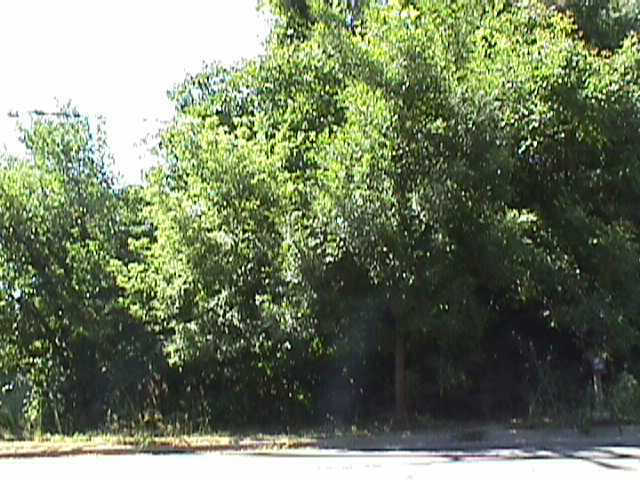 I enjoy having the wooded lot next door, but I imagine that these lots will eventually be developed. The sanitary sewer line for 2553 West Liberty goes across the two lots, which might pose a challenge for development. Click here to view its location. There is also a 10-foot easement along the eastern boundary of Lot 6. If I had enough money, I would like to buy the lot next to mine, but alas . . .